Arie Vardi is a professor at the Hochschule fur Musik in Hanover and at the Buchmann-Mehta School of Music, Tel Aviv University. Over 40 of his students have won first prizes at international competitions. He has created and presented more than 300 television programs, including the “Master Class” series and “Intermezzo with Arik”. In 2004 he was granted the Ministry of Education Lifetime Achievement Award and this year, 2017, he will receive the prestigious Israel Prize for Music. Born in Israel, Vardi gave his first recital in Tel Aviv at the age of 15. He studied at the Tel Aviv Rubin Academy of Music with Neima Rosh and Olina Vincze-Kraus and at the same time completed a law degree at Tel Aviv University. Later he studied piano, composition and conducting with Boulez and Stockhausen. In 1960 he won the Chopin Competition in Israel and made his first appearance with the Israel Philharmonic Orchestra. A year later he won the Enescu Competition in Romania. Since then he has appeared with all the Israeli orchestras, in recitals and chamber music concerts. He has toured Europe, North and South America, Africa, The Far East and Australia, playing under the baton of conductors such as Paul Paray, Zubin Mehta, Kurt Masur, David Zinman, Semyon Bychkov and others. 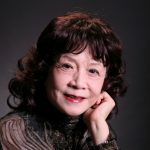 Hui-Qiao Bao is a well-known Chinese pianist and since 2007 she has been Chairman of the China International Piano Competition. She served as adjudicator in many piano competitions in China as well as international competitions, including the Arthur Rubinstein International Piano Master Competition in Israel (1989), Jaen International Piano Competition in Spain (2007), UNISA International Piano Competition in South Africa (2008), Taipei International Chopin Competition (2008), Tbilisi International Piano Competition (2009), Seoul International Music Competition (2011), Leeds International Piano Competition (2012) and the Isangyun Competition in South Korea (2013). As a piano teacher, many of her students have won prizes in national and international piano competitions. Bao was the soloist at the China Symphony Orchestra from 1970 until retirement. She completed undergraduate and Master’s degrees at the Central Conservatory of Music in Beijing and the Leningrad Conservatory of Music. 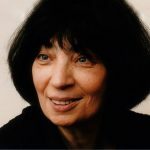 During her university studies, she won numerous prizes both nationally and internationally, including the 1st Prize in Performance of Chinese Works Competition in 1960, 5th Prize in the Second George Enescu International Piano Competition in 1961, 1st Prize in the National Selective Competition of China in 1964 and a Chopin Competition in 1965, Best Performance Prize in the Fourth National Competition for Music Compositions in 1985 and “The Golden CD prize” issued by the China Recording Company in 1992. As a pianist, she has performed frequently all over China, Japan, Singapore, Europe, South America, Chile, Turkey and more. Josef Bardanashvili is one of the most prominent Israeli composers. He is a diverse composer, whose works include music for Operas, Ballets, Symphonies, Concertos, String Quartets, Quintets, Piano Trios, Piano Sonatas, Choir Music, music for 35 films and 45 theater productions. 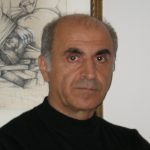 Born in 1948 in Batumi, Georgia, he studied at the Music Academy in Tbilisi under Aleksandr Shaverzashvili, where he graduated with a doctorate in composition in 1976. He was Director of the Music College in Batumi (1986-1991), and Culture Vice-Minister in Adjaria (1993-1994), and in this capacity organized numerous international music festivals. He settled in Israel in 1995. Bardanashvili served as composer-in-residence of the Raanana Symphonette Orchestra in Israel from 1996-99 and Musical Director of the International Bienniale for Contemporary Music “Tempus Fugit” in Israel (2002, 2004,2006) and currently is a composer-in-residence the Israel Camerata Jerusalem. He taught at Camera Obscura College in 1998-99 and at Bar Ilan University. Currently he is a faculty member of the Academy of Music at the Tel-Aviv University and the Jerusalem Academy of Music and Dance. He is frequently invited to serve as a jury member at different musical competitions, as well as to give master classes and lectures at musical academies and schools. Michel Béroff has established a reputation as one of the premier interpreters of French avant-garde composer Olivier Messiaen and is also known for outstanding performances of composers such as Beethoven, Brahms, Bartók,Prokofiev, Mozart, Debussy, Mussorgsky, Stravinsky, Schumann and Schubert. He started his studies at the conservatory in Nancy and later switched to the larger CNSM in Paris where he immediately stood out as one of the top pianists. In 1966 he won the first prize in the Olivier Messiaen International Piano Competition. Since then his career has taken him all over the world. He has performed as soloist under the baton of conductors such as Daniel Barenboim, Leonard Bernstein, Pierre Boulez, Seiji Ozawa, Andre Previn, Kurt Masur and others. 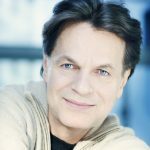 He collaborates with many other performers in the context of recitals or chamber music, including Pierre Amoyal, Jean-Philippe Collard, Augustin Dumay, Barbara Hendricks, and Lynn Harrell. His interest in conducting led him to another career as an orchestra conductor, which continues to be overshadowed by his busy schedule as a pianist. He has however established himself as an educator in the conducting field. The Béroff discography is impressive. His EMI output includes the complete works for piano and orchestra by Prokofiev, Stravinsky, and Liszt, as well as other works by Messiaen, Schumann,Brahms, and Debussy. Peter Donohoe is vice-president of the Birmingham Conservatoire and has been awarded Honorary Doctorates of Music from the Universities of Birmingham, Central England, Warwick, East Anglia, Leicester and The Open University. He was born in Manchester, England and educated at Chetham’s School of Music, where he studied violin, viola, clarinet and tuba. At the age of 14 he was accepted by professor Derek Wyndham as his youngest student at the Royal Manchester College of Music. During his final year as an undergraduate he decided to put all his energies into the piano. In the years since his unprecedented success as Silver Medal winner of the 1982 International Tchaikovsky Competition in Moscow, Peter Donohoe has built an extraordinary world-wide career, encompassing a huge repertoire and over forty years’ experience as a pianist, as well as continually exploring many other avenues in music-making. He is acclaimed as one of the foremost pianists of our time, for his musicianship, stylistic versatility and commanding technique. Peter Donohoe was awarded a C.B.E. (an honorary degree of the British Empire) for services to music in the 2010 New Year’s Honors List. 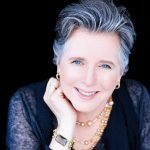 Born in Canada, Janina Fialkowska began her piano studies with her mother, continuing on in her native Montreal with Yvonne Hubert. In Paris she studied with Yvonne Lefébure and at the Juilliard School with Sascha Gorodnitzki, experiencing the best of both French and Russian piano traditions. Her career was launched in 1974, when the legendary Arthur Rubinstein became her mentor after her prize-winning performance at the inaugural Piano Master Competition in his name. Since then she has performed with the foremost orchestras worldwide under the baton of such conductors as Zubin Mehta, Bernard Haitink, Lorin Maazel, Sir Georg Solti, Sir Roger Norrington and Yannick Nézet-Séguin, to name one of the younger generation. She has won special recognition for a series of important premieres, notably Liszt’s newly discovered Third Piano Concerto with the Chicago Symphony and several contemporary piano concertos. Ms Fialkowska’s discography includes many award-winning discs, e.g. the BBC Music Magazine’s 2013 “Instrumental CD of the Year” award. Her native Canada has bestowed upon her their highest honors: “Officer of the Order of Canada”, the “Governor General’s 2012 Lifetime Achievement Award in Classical Music”, as well as three honorary doctorates. She passes on her wide musical experience in master classes and at her annual “International Piano Academy” in Bavaria, where she now resides and makes frequent appearances as a juror of the world’s most prestigious piano competitions. 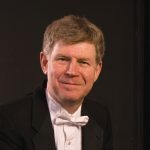 Ian Hobson has earned an international reputation as a pianist, conductor, and educator. Born in Wolverhampton, England, Hobson studied music at the Royal Academy of Music, Cambridge University in England and at Yale University in the United States. His international career was launched in 1981 when he won First Prize at the Leeds International Piano Competition, having already garnered silver medals at both the Artur Rubinstein Poland and Vienna-Beethoven competitions. His teachers have included Sidney Harrison, Ward Davenny, Claude Frank, and Menahem Pressler. His repertoire spans the centuries and demands an extraordinary command of styles and scholarly vision, in addition to great keyboard prowess. His recordings and recital performances encompass a cross section of works from mammoth to miniature, from pre-classic music to contemporary music. Ian Hobson played with major orchestras and is increasingly in demand as a conductor, particularly for performances in which he doubles as piano soloist. Thus he performed with major orchestras as well as his own Sinfonia da Camera – a chamber orchestra he formed in 1984 which quickly gained international recognition through its recordings. Hobson has served as adjudicator of the Van Cliburn International Piano Competition, the Artur Rubinstein Competition in Poland, Chopin Competition in Florida and the International Pianoforte Competition Cologne in Germany. Mr. Hobson has made many recordings for his own Zephyr Records company and other labels. 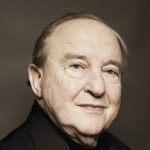 Recognized by the French and German governments with the highest honors, Menahem Pressler is considered one of the great pianists of our time. A founding member and the pianist of the Beaux Arts Trio for all of its 51 years, he is one of the world’s most distinguished and honored musicians, with a career that spans nearly seven decades. He made his American debut with the Philadelphia Orchestra the New York, Washington, Cleveland, Chicago, Pittsburgh, and London Symphony Orchestras followed. Since then, Pressler has performed around the world in all of the world’s major music venues. Both an outstanding solo and chamber performer, Mr. Pressler has collaborated with the Juilliard, Emerson, Ebène, Pacifica, American, Guarneri, and Cleveland Quartets. His acclaimed New Year’s Eve 2014 performance with the Berlin Philharmonic under Rattle was televised worldwide and is now available on DVD, with a profile documentary. His last recording – 3 Mozart’s sonatas – for the French label La dolce Volta is highly praised by the press. Eliso Virsaladze is recognized as an exceptional teacher whose students have won recognition at renowned competitions. 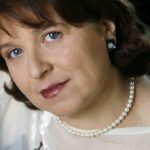 Moscow conservatory and Munich Musikhochschule have made Elisso Virsaladze a regular professor and there is hardly any important international competition where she has not been invited to take part in the jury. She grew up in Tbilisi, Georgia. She received her first piano lessons from her grandmother, Professor Anastasia Virsaladze. She graduated from the Tbilisi State Conservatory, and continued her education as a postgraduate student at the Moscow Conservatory. She continued her studies with Heinrich Neuhaus and Yakov Zak. In 1962 Virsaladze won third prize at the Tchaikovsky Competition in Moscow and four years later the first prize at the Schumann International Competition in Zwickau, Germany. She has been described as one of the great contemporary interpreters of Schumann. At the same time, she is well known for her wide repertoire up to and including modern Russian composers. She built her concert career with regular tours across Europe, the U.S.A., South America, Japan, and Australia. She also appeared regularly in chamber music performances, collaborating with Natalia Gutman. Virsaladze also made frequent appearances at music festivals, including at the Moscow-based December Nights Festival, organized by Sviatoslav Richter. 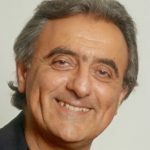 Ramzi Yassa is at present Pianoforte Professor at the Ecole Normale de Musique “Alfred Cortot” in Paris and Artistic Director of the International Music Centre, Manasterly Palace in Cairo. Having established himself as the leading pianist of his native country since early childhood in Cairo, Yassa furthered his piano studies at the National Conservatoire, perfecting them at the Tchaikovsky Conservatoire in Moscow. He has been awarded numerous prizes and has contributed to the panel of judges at international piano competitions in Europe, the Middle East and the U.S.A.
For several years he conducted Masterclasses in Paris with Professor Mikowsky of the Manhattan School of Music. Although Yassa has resided in Paris with his family since 1976, he has always maintained strong ties with his homeland where he performs regularly. In 2007, he was awarded the Egyptian State Merit Prize. He has performed in the world’s major concert halls, in association with top conductors such as Vladimir Ashkenazy, Yehudi Menuhin, Charles Groves, Zubin Mehta, Alexander Sladkovsky and Horst Stein, together with leading orchestras. Yassa has recorded extensively, including Beethoven’s five Piano Concertos and the Choral Fantasy with the Cairo Symphony Orchestra conducted by Ahmed El Saedi, a pioneering effort and important contribution, the first by Arab soloist, conductor and orchestra. Since 2015, he is the Artistic Director of the Dinard Festival in France. Dina Yoffe, originally from Riga (Latvia), graduated from the Tchaikovsky Conservatory of Music in Moscow, under the tutelage of Professor Vera Gornostayeva, one of the most important proponents of the legendary Heinrich Neuhaus school. Among the high points of her international career are concerts with outstanding orchestras, such as the Israel Philharmonic under Zubin Mehta, NHK under Neville Marriner, the Moscow Philharmonic under Valery Gergiev and Dmitri Kitayenko, Tokyo Metropolitan Orchestra under James De Priest, “Kremerata Baltica” under Gidon Kremer, “Moscow Soloist” under Yuri Bashmet and Orchestra Sinfonia Varsovia under Jerzy Kaspszyk. Currently, Yoffe is Professor at the Talent Music Academy in Italy, Brescia. She is former Professor at the Rubin Academy of Music in Tel-Aviv University and Visiting Professor at Aichi University of Arts, Japan. She is regularly invited to serve as a jury member of acclaimed international piano competitions such as Cleveland (USA), Hamamatsu (Japan), PTNA Piano Competitions (Japan), Chopin Competition (Warsaw), Liszt (Germany), Maria Canals (Spain). Her students are winners of national and international piano competitions. Many of them are teaching in Music Academies in the USA, Japan and Europe.